Last edited by Showtime 100; 19th February 2005, 19:55. China obtain the TEL from Belarus in 1997 but it was a SS-20 chasis which is quite different from what we see of the DF-41. Did I read wrongly? What makes u think we r comparing DF-41 to Topol-M? Because nobody see a DF-41 or DF-31A before that's why i post all Russian ICBM TEL to show the photo I indicate as DF-41 is not some Topol-M or what SS-??? If u want to talk abt how good Topol-M,pls start another thread,don't dirty mine! wow! !The first DF-41 ICMB photo in public by "iamdongdong"
But in the end the mystery never solved! But there is comfirm report China bought a MAZ TEL chasis from Belarus.Definitely that mysterious TEL we saw is not MAZ claim by previous post! It is reported China will base on the import TEL from Belarus and RE and make one suit for them! Other photo, the is A-925 missile, complex A-135, derivative the A-35 Galosh Otan ABM-1. DF-41 ICMB not the correct identification. So is this an ICBM not adaopted by the soviets or is it ABM system? I assume that it is an improved version of the original, was it ever deployed operationally and how effective is it said to be. I have been told that the original golash system could intercept polaris but that its effect was limited by cost and number. What other systems are associated with it? A-135 complex In designed in the year of 1978 like replacement of the A-35 system, this system began to be constructed, and after the accomplishment of the respective tests the system was operative in 1989, and the 17 of February of 1995 the system of anti-missile protection of the region of Moscow was put in guard battle by decree of the president of Russia, the system this based on two new intercepting missiles and new radars of phase adjustment, the missiles are installed in underground silos diminishing their vulnerability before the attacks, five new sites were constructed, and two sites of the A-35 system were turned to the new system. 32 to 36 exoatmospheric long-range missiles A-925 51T6. 64 to 68 endoatmospheric missiles 53T6. Command station post and control 5K80. Code of NATO: ABM-3 Gazelle, SH-08. Designation of the intercepting missile: 53T6. Manufactured by: Kisunko SKB (SKB-30, now NIIRP). Beginning of the production: 1967. Propulsion: Solid propellant rocket engine of two states. Head military: Nuclear of 10 Kt. Code of NATO: ABM-4 Gorgon, SH-11. 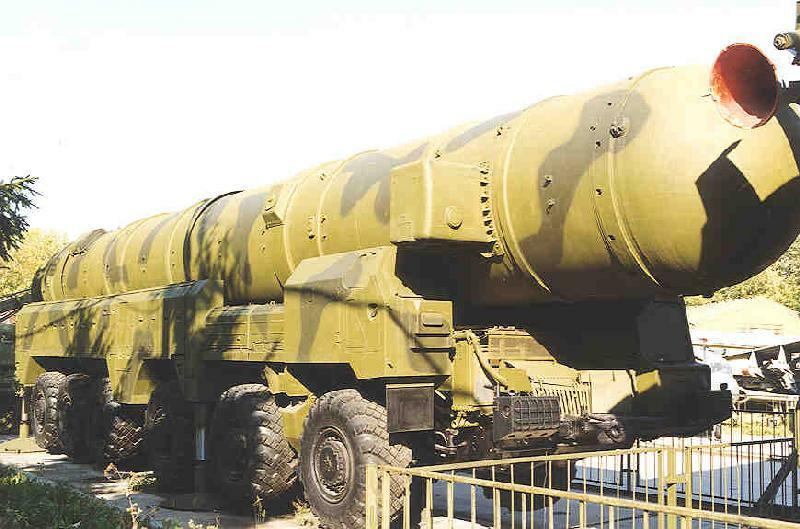 Designation of the intercepting missile: A-925, 51T6. Designed by: Grushin OKB (OKB-2, now MKB Fakel). Beginning of the production: 1980. Length, m: 19.8 (according to other sources 22 m.s). Propulsion: Solid propellant rocket engine of three states. Range: 350 km (400 km according to another source). Head military: Nuclear of 1 megaton (550 Kt according to another source). Elbrus-2 computer in Command station post and control 5K80. excuses by my ingles, my language is Spanish!!!! Last edited by heeroyui; 22nd February 2005, 07:34. I assume that this system was aimed at early generation Tridents. It is interesting to see that Russia has had and has been working on ABM systems for a while where as the US seems to have only recently enetered into the arena, and not without controversy. Thanks for the info its great. Both the US and the URSS was permitted to develop an ABM system under the 1972 ABM teatry. The US system entered service but was soon discarded.